Airdeck deluxe roll up - Includes launch wheels (£140 new), oars, pump and seat. 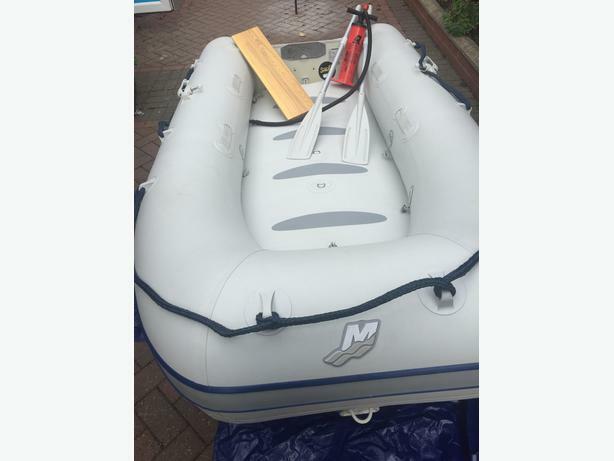 In good condition, holds air well and has served me greatly but have decided to sell in order to upgrade to a bigger boat. The boat is around 10ft in length and weighs around 45kg. There has been only one previous repair, as seen in the photos.